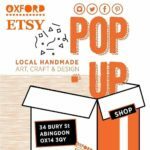 Oxford Etsy will be opening their first ever pop-up shop in Bury Street, Abingdon on 4 November. The success comes after the Vale of White Horse District Council’s recently launched Independent Shops Project – an initiative which enlisted the help of town centre specialist, Iain Nicholson. Posted in News Centre	| Comments Off on Your favourite Wantage and Grove businesses? Vote for them! More independent shops are filling Banbury town centre, boosting its reputation as an indie shopping destination whilst reducing the number of empty units. There’ll be a little of Neverland about Wantage town centre for the end of May school half term holidays, as local shops host a special Peter Pan trail. 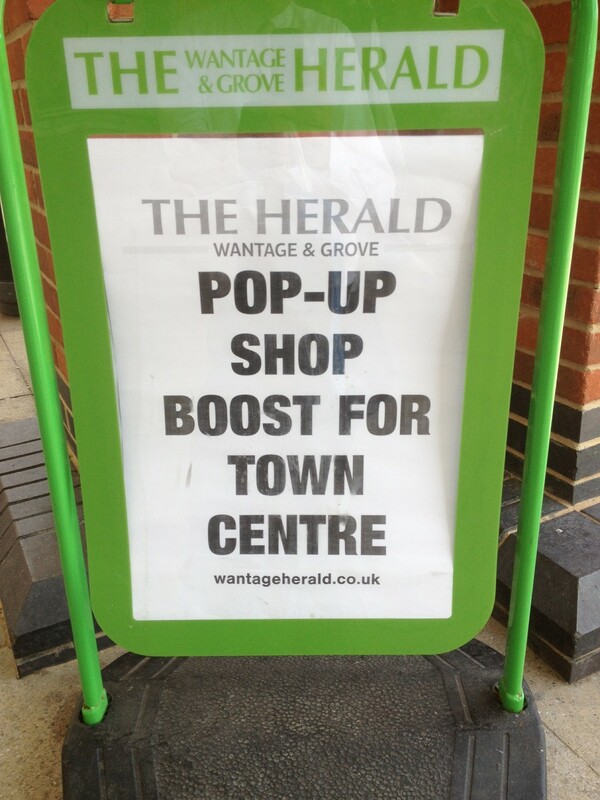 Could a pop up shop hire help establish your business in Banbury town centre? Independent businesses looking to establish themselves in Banbury town centre have a new opportunity to be part of the town’s pop up shop project. Posted in News Centre	| Comments Off on Could a pop up shop hire help establish your business in Banbury town centre? Two more businesswomen have chosen Wallingford as the place to make a step onto the high street, thanks to having a pop up shop programme there. Wantage shoppers can enjoy the special atmosphere of Christmas Lights-lit late night shopping on two Thursdays this December, plus free parking Fridays. Many of the town centre’s independents plus a number of nationals will open late for the two evenings in an initiative supported by Wantage & District Chamber of Commerce and the Town Team.